Wynn withdrew its takeover bid of Crown Resorts, but good financial sense suggests it could return to negotiations later. Wynn Resorts Ltd. dodged a bullet by ending its pursuit of Crown Resorts, according to Bloomberg, but it might not end the chase. Wynn announced a $7.1 billion takeover bid over Crown Resorts this week, then pulled the offer a day later when news of the negotiations leaked to the Aussie press. The claim that Wynn Resorts withdrew its buyout offer because of the leaks might have been a face-saving gesture. Nisha Gopalan of Bloomberg Opinion estimated the buyout price was too high for Crown’s declining business prospects. The $7.1 billion price, $9.9 billion in Australian dollars, indicates the high premium Wynn puts on growth. If Gopalan can be believed, Wynn Resorts’ Matt Maddox faces a decision on whether to buy or be bought. First, a recounting of the deal. On Tuesday, Wynn Resorts offered to buy Australia’s Crown Resorts for A$14.75 per share, which amounted to about US$7.1 billion and a 26% premium for shareholders. 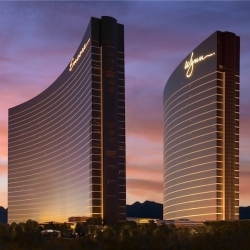 The takeover bid included one-half in cash and one-half in Wynn Resorts shares. Crown Resorts barely had time to announce it would consider the offer before the news broke. Investors bought Crown shares to A$14.37, eliminating much of the premium for shareholders. In light of the ASX stock surge, the buyout deal did not look so great anymore. The two sides’ negotiations were materially affected and Wynn wasn’t happy about it. Despite Wynn CEO Matt Maddox withdrawing the offer, gaming analysts believe the two companies might return to the negotiating table in the future. The deal makes sense for a company seeking growth. Other areas of potential growth seem blocked. Macau is not the answer. The slowdown of China’s economy and the insistence by Beijing officials that Macau diversify its economy led to a slowdown of the city’s casino industry’s growth. Of the six major operators in Macau, Wynn Resorts is the most-exposed to the current downturn. Going back to its founding 19 years ago, Wynn Resorts always focused on the high roller and VIP set. It is a luxury casino chain. Its two Chinese casinos, Wynn Macau and Wynn Palace, generated 52% of its revenues last year from VIP high rollers. That is a much higher percentage than the other Macau operators, who more successfully transitioned to the Chinese mass market (middle class) players over the past 5 years. Wynn’s Macau casino license is up for review in 2022. Few predict officials will strip the license. Some analysts predict the licensing review could become a leverage play, where Wynn Resorts is forced to take on a local partner. Wynn Resorts Interested in Japan? Considering that, Wynn Resorts could focus on the burgeoning new Japanese casino market. Bloomberg claims Wynn’s VIP-focus could be a hindrance there, too. It predicts the Japanese mass market will dominate the casino industry, like it does in China now. That might not be the case, though. Japanese lawmakers wrote its casino laws to hedge against problem gambling and other perceived social issues gambling could cause. They imposed an estimated $55 entry fee (depending on the exchange rate) to assure problem gamblers and less affluent Japanese residents won’t gamble. In that scenario, the Japanese casino industry might skew towards upper middle class and VIP players. Wynn Resorts might not be as hamstrung as one would think, though wise financial analysts disagree. Wynn’s recent past in Japan might be as much of a hindrance. Universal Entertainment’s former CEO, Kazuo Okada, once was the second-ranking Wynn shareholder behind Steve Wynn. When Okada was forced off the Wynn board due to corruption charges, Universal Entertainment sued Wynn Resorts. Even after Okada left the company, the lawsuit continued. Last year, amidst Steve Wynn’s own fall from power, Wynn Resorts finally resolved its $2 billion dispute with Universal Entertainment. The dealings with Universal Entertainment, a Japanese casino operator and top manufacturer of pachinko machines, could cloud Japanese officials’ image of Wynn. Perhaps they did not like Wynn’s dealings with a local rogue operator. Perhaps they do not like the fact Wynn Resorts fought a lawsuit against a top Japanese company for 6 years. The Okada/Universal legacy might not matter, but it probably doesn’t help. Among other Asian and Pacific growth opportunities, nothing else presents itself as promising. Singapore is lucrative enough, but it does not review its casino licenses until 2030. The Philippines is a good spot for an integrated casino resort, but the Rodrigo Duterte administration has a negative attitude to foreign casino operators. Currently, Duterte is holding up a long-planned integrated resorts from China’s Galaxy Entertainment Group (GEG). Furthermore, Duterte is lying about his previous dealings with GEG officials. Such situations do not instill confidence in multi-billion dollar foreign investors. With other areas of growth unpromising, the stability and predictability of Australia’s casino industry makes sense. Australia’s casino industry itself is facing issues with declining revenues from Chinese high rollers. Still, Australians love to gamble. Crown Melbourne and Crown Perth (paywall) are dependable sources of revenue, and they could be renovated and expanded. Crown Sydney is built to lure the kind of Asian high rollers Wynn likes to attract. With that in mind, Wynn Resorts might restart negotiations with Crown Resorts in the coming months. The will is there. It makes sense for both companies. If the two sides can agree on a price, it could help both Wynn and Crown.